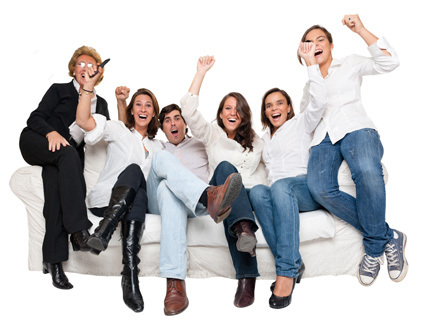 JOIN SPEEDY FURNITURE’S NEW FRIENDS AND FAMILY PROGRAM TO SAVE BIG! The Speedy Furniture business model enables Speedy to sell for less than The Competition—a lot less! Speedy Furniture’s famous sale-beating prices beat other stores’ sale prices every day! Now Speedy Furniture’s Friends and Family members can save even more! 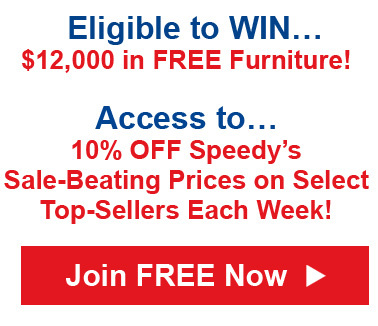 Because of Speedy’s 18-store buying power, our suppliers are now giving Speedy Furniture additional discounts each week on select top-sellers; and we’re passing those discounts on to Friends and Family members in special lower prices on those items and advanced access to those limited-time lower prices through a Friends and Family Special Deals email each week. A competitor recently had one of Ashley’s top ten selling sofas on sale for $679.99. The Speedy sale-beating price on that very same sofa is $438 every day. But when this sofa was on special recently, it was only $394! That’s a savings of $285.99 or 42% over our competitor’s sale price!! •	Weekly Specials on top-sellers from top manufactures. IMAGINE! Special advanced access to 10% off Speedy’s sale-beating prices on select top-sellers each week! •	WIN FREE Furniture! Every month a lucky Friends and Family member will win $1000 of FREE furniture—that’s $12,000 worth of Furniture we’re giving away every year to Friends and Family Members! Every month you get one entry just for being a member, PLUS you get additional entries equal to the number of members you referred so the more people you refer the better your chances each and every month! Think of the savings for you and your friends!! Join today and tell your friends and family about the new Speedy Furniture Friends and Family Plan—they’ll love you for it! FRIENDS AND FAMILY PROGRAM WINNERS!